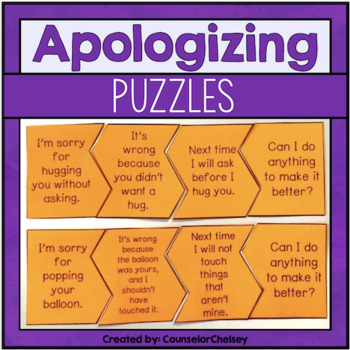 Do your students need help apologizing effectively? 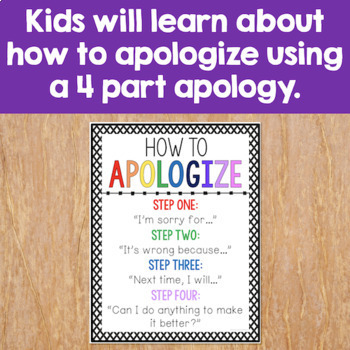 This engaging activity will help your students learn and practicing using the four part apology. 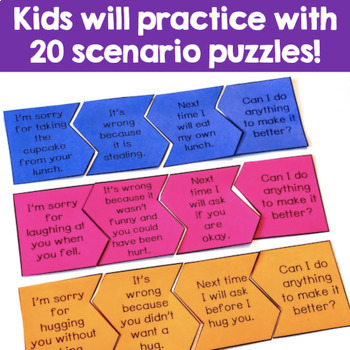 Students will look at the 20 puzzles and match the parts of the apology to the correct scenario. These are perfect for social skills lessons or small groups! This resource is part of a conflict resolution activities bundle! Click here to save 20%! 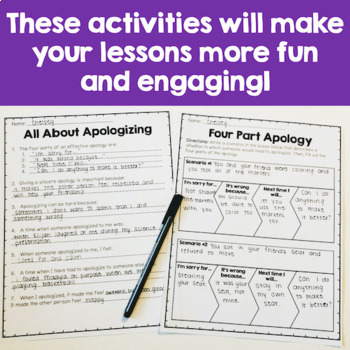 Two worksheets to help your students further understand and practice apologizing. If you are satisfied with this resource, please leave feedback. If there is something I can improve upon, please e-mail me at counselorchelsey@gmail.com and I will do my best to accommodate you.